Jemison, who became the first woman of color to travel in space, will speak at 7:30 p.m. Thursday, March 16 in the Morris University Center Meridian Ballroom. In 1992 aboard the space shuttle Endeavor, Jemison was NASA’s first science mission specialist, performing experiments in material science, life science and human adaptation to weightlessness. Jemison, also an engineer and physician, speaks around the country on issues of health care, social responsibility, technology and motivation. “We’re excited to collaborate with the Chemistry Department’s Probst Lecture and the Physics Department’s Shaw lecture to bring such an outstanding speaker to campus for our students, faculty, staff and community,” said Grant Andree, director of Arts & Issues. General admission is $20 for adults, $15 for SIUE staff, faculty, retirees, alumni and seniors 65 and older; and $10 for students of any school. Tickets can be purchased at artsandissues.com, by phone at 1-866-698-4253 or at the Morris University Center (MUC) Welcome Desk. SIUE students are admitted free, courtesy of the Office of Student Affairs. SIUE students can obtain tickets at the MUC Welcome Desk. Sponsoring the show are the following SIUE schools and departments: Graduate School, College of Arts and Sciences, Office of the Provost, Student Government, Chemistry Club, SIUE Alumni Association, Dr. William J. Probst Memorial Lecture Fund, Dr. William C. Shaw Lecture Fund and Millipore Sigma. The event is funded in part by student activity fees. 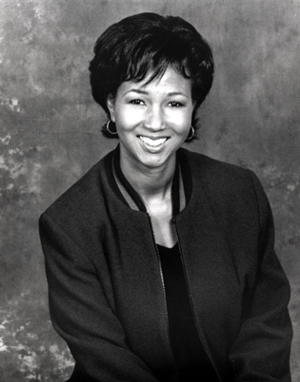 Photo: Dr. Mae C. Jemison, NASA Astronaut and the first woman of color in space.